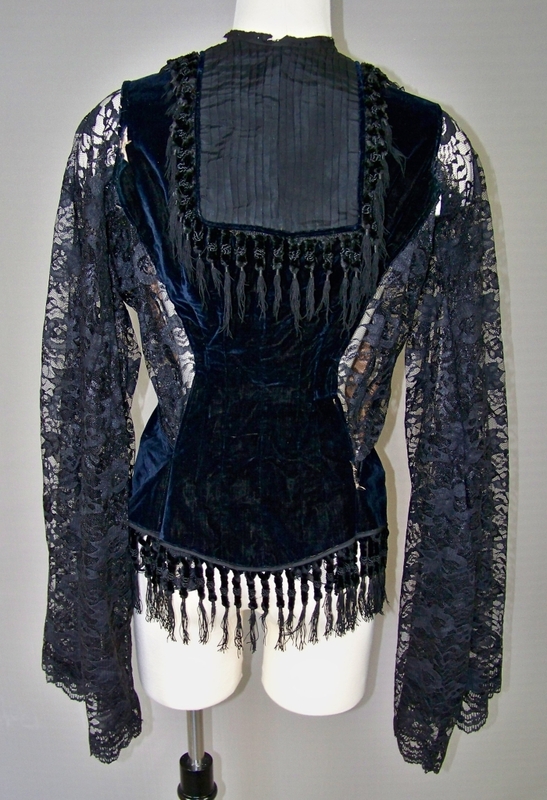 Genuine antique blouse from the Victorian era, estimated 1800s to early 1900s. 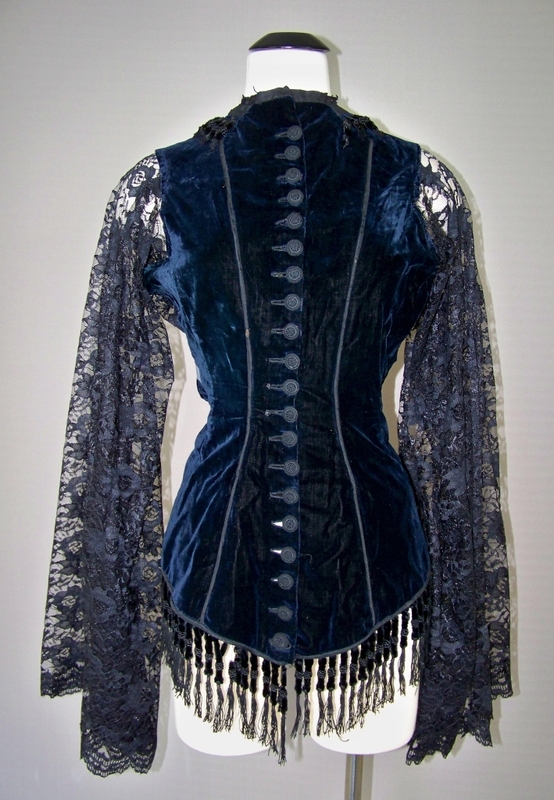 Midnight blue velvet bodice. Buttons have amazing detail. 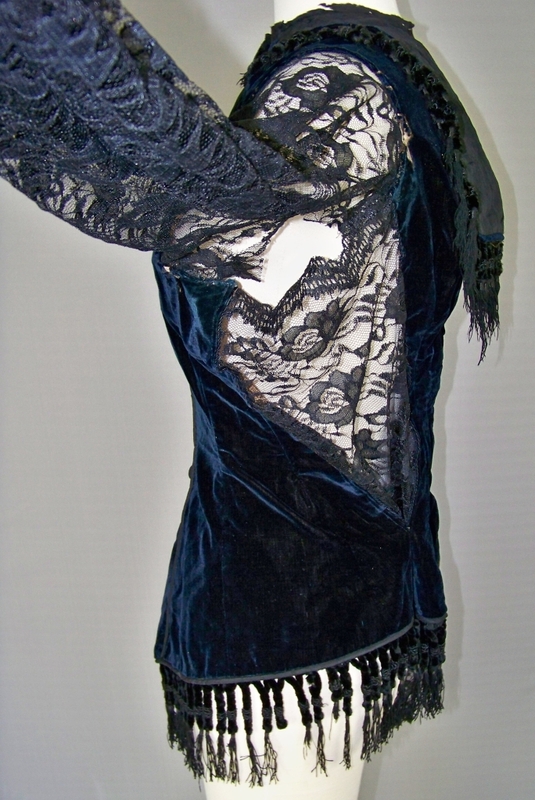 Huge sheer lace bell sleeves, which are very long at 30”. Unusual fringe around bottom hem and back collar. Interior boning. 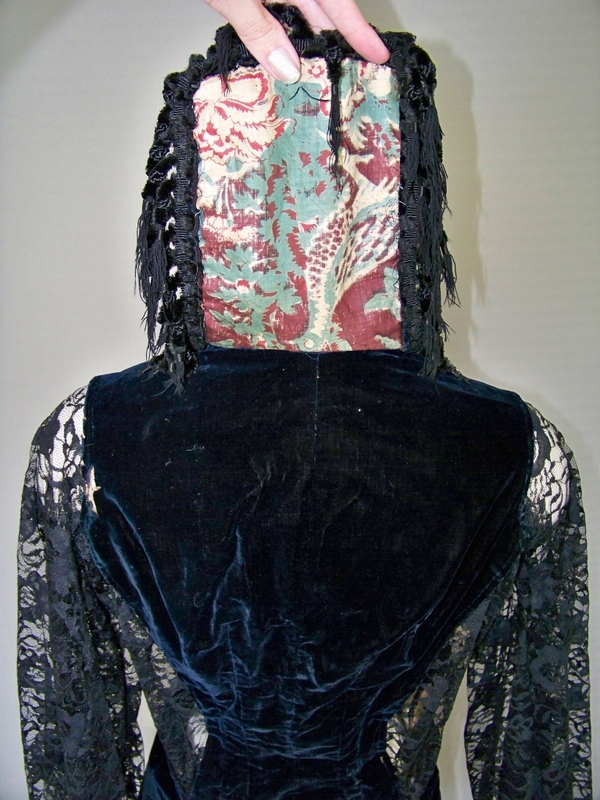 Long square collar in back with different fabric underneath. 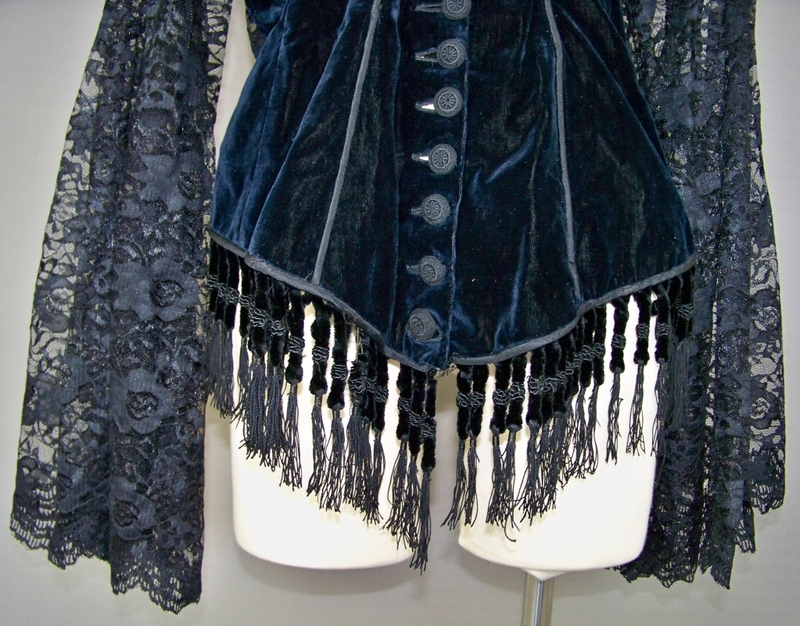 The bodice, fringe, collar and buttons are definitely from the Victorian era but it looks like the lace was added more recently, it’s in very good shape and the stitching is different. There are also odd openings under the sleeves in the pit areas; not holes, but it looks like the fabric just wasn't sewn together. 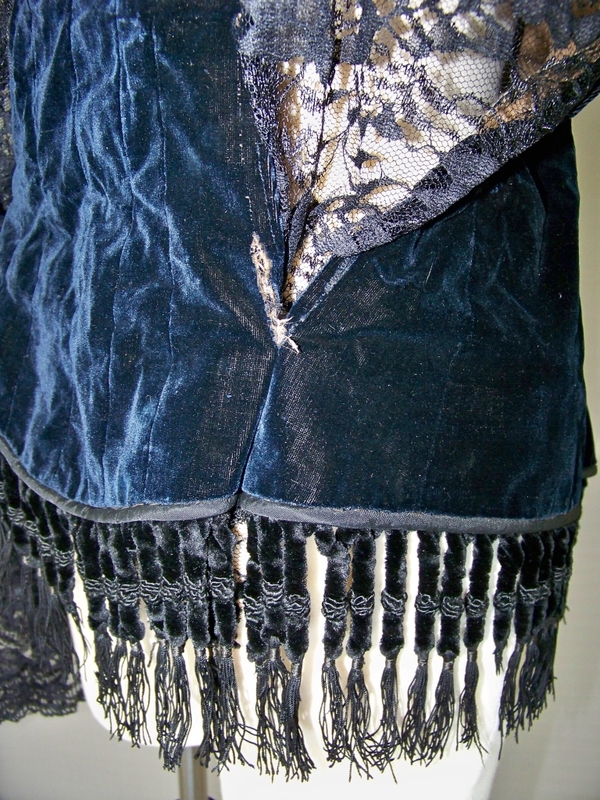 There are a couple small tears in the velvet and other age related flaws, such as damage to the neckline and fringe. Please see photos for best description. Overall this garment is sturdy for its age and still wearable. Luckily for us, the seller was awesome about taking pictures. Inside shots, detail shots, and front/back/side shots. I love the other fabric beneath the collar! 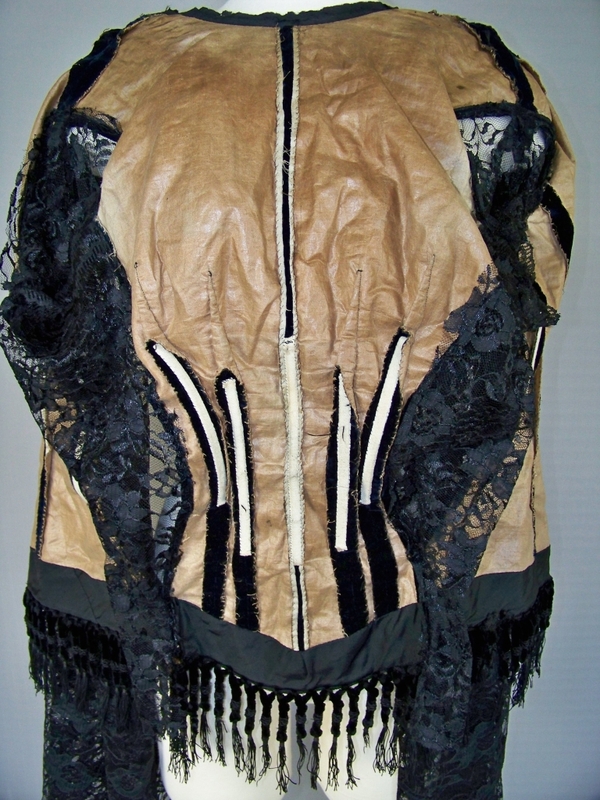 It is difficult to tell from the pictures, but is this shown with the buttons to be in the front? I am guessing, not sure about the seams on the button side, they appear to curve to the armhole. 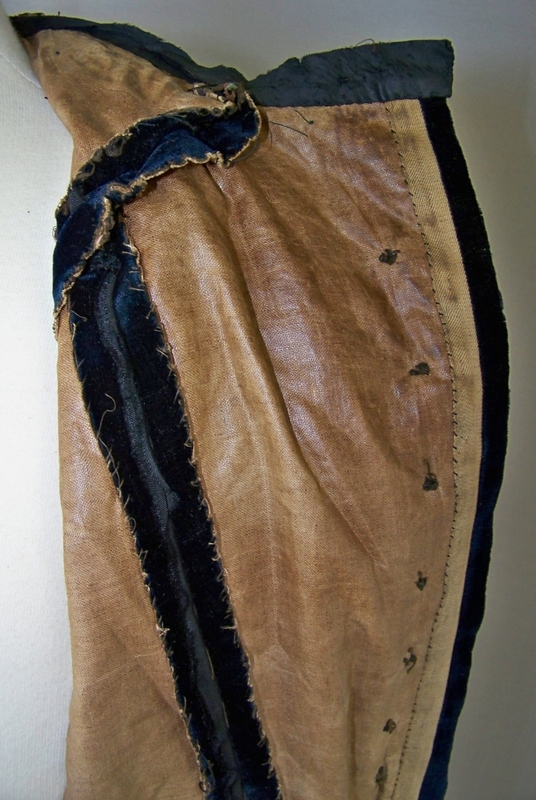 Those seams would be the back of the bodice. 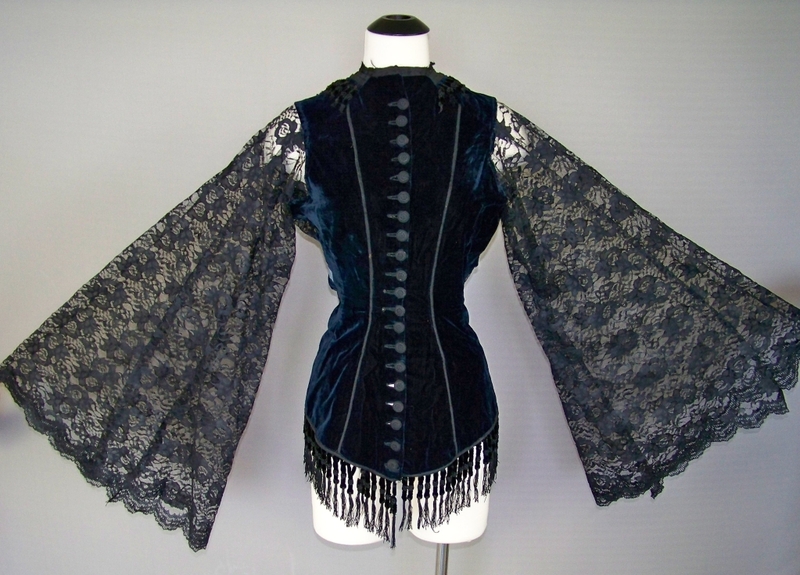 What a gorgeous bodice! And yes, such a shame that someone reworked it. 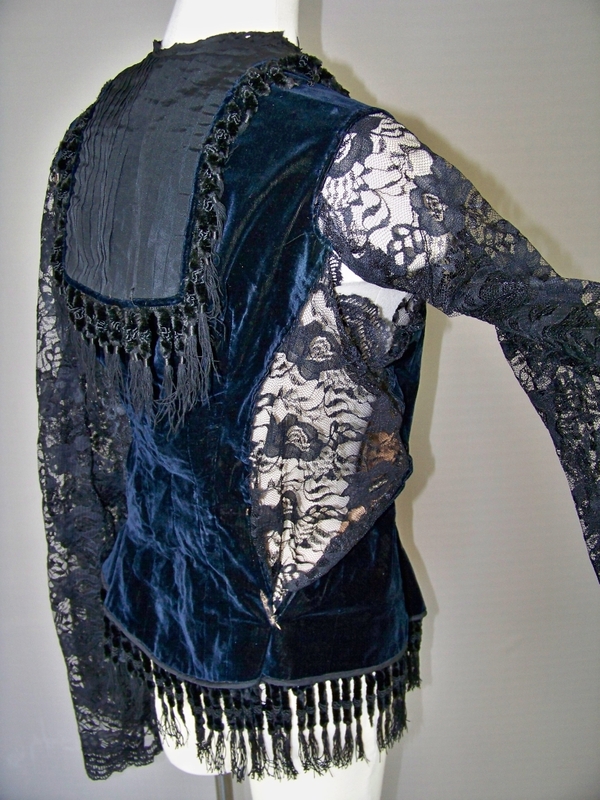 Yes, the buttons were the front of this piece. The collar piece went towards the back. It's hard to tell anymore due to the re-working.